Well the wait is over folks. 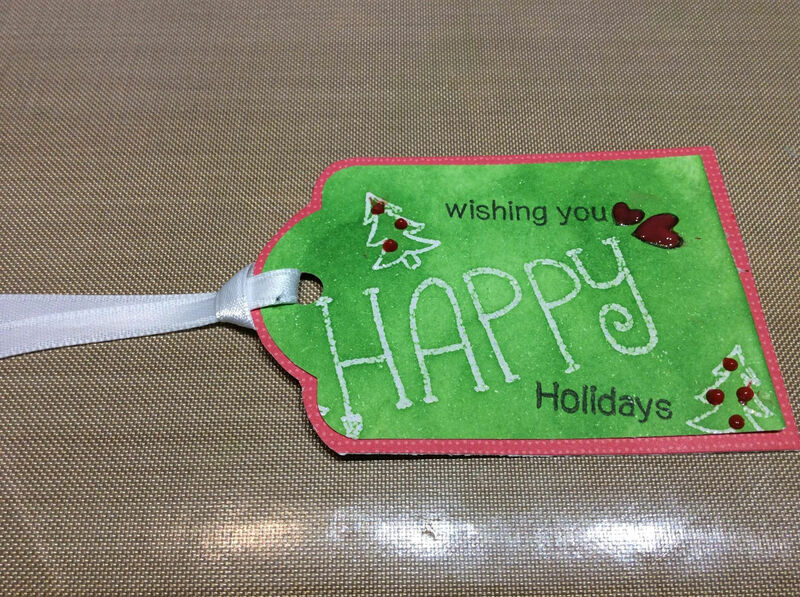 My co-blogger somehow carved enough time out of her uber busy life to make a tag for the 25 Days of Christmas Tags-Day 2. Sandra was inspired by Jennifer Jackson’s tag. Stamps by Newton’s Nook. We seemed to be pretty busy doing other things when Sandra came down to El Mirage to visit, but we did manage to get a few cards made to justify the shopping spree at the Mesa Rubber Stamp Show. Sandra has found a few minutes between hockey games to make a card for this challenge. Copic Markers, Tim Holtz Distress Inks, Memento Ink, Pattern Paper (Recollection), Cardstock (Xpress It and Bazzill), Stamp Set (Lucky Dog and My Minds Eye) and 1” punch. Sandra wanted to enter the My Favorite Things Challenge but as usual her breakneck speed lifestyle did not allow for much crafting time. She managed to send me all three allowable entries for posting on the deadline day. Today is a busy day for me as well. I am filling in at the super fantastic Scrapendipity store all day, so that the super fantastic owner and sidekick, Selena and Holly can take the fully loaded super fantastic Little Green Truck (Scrapmobile) out to the Scrapbook Carnival site at Spruce Meadows and get set up. The Scrapbook Carnival starts tomorrow and the theme is Super Heroes. The Scrapbook Carnival is a lot of fun, and Creative Scrapbooker who sponsers the Carnival give away a swag bag that rivals the one at the Oscars!!! Ok maybe I exaggerate just a little, but IT IS a gooder! Sandra has made a card and actually sent it to me to put on the blog. This is a momentous occasion folks. The world’s busiest woman has found the time to sit down and do some crafting. The June challenge at Paper Smooches is to use layers. It seemed odd to me at first as I think Paper Smooches is the Poster Child for CAS cards (Clean and Simple). 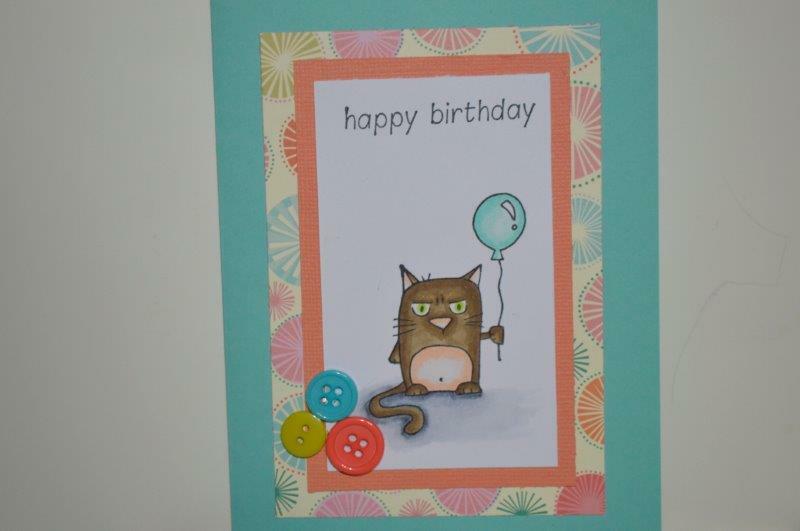 Sandra has made a card that shows that you can do CAS with layers. Stop the Press! Sandra has made a Card! Sandra has made a card for the Penny Black May Anything Goes challenge.